Low unemployment paired with increased awareness amongst candidates about the employer brand has made hiring a tough job for recruiters. The companies need to up their game to hire the best and most qualified candidates before they are hired by other companies. In a candidate driven job market, candidates are being selective about the companies they would want to work for. This has caused a major shift in the recruiting paradigm and in the hiring trends. To hire the best talent, the companies need to follow these trends. In terms of recruitment trends, 2019 will bring a fresh set of recruiting trends that will significantly impact your recruiting process. You need to start implementing these trends ASAP to ensure that your business gains an edge over other businesses. What are the Current Challenges in the Recruitment Industry? Talent Shortage is one of the biggest challenges plaguing the recruitment industry. Finding top quality talent will remain the key recruitment goal but a very difficult task. Nowadays, candidates have far more power during the job search and are changing jobs more than ever before. Candidate experience during all the hiring stages will become quite a significant factor that can make or break your recruiting goals in the year 2019. In the competitive hiring environment, a negative employer branding can sabotage your hiring efforts and make it all the more difficult for you to hire talented candidates. These days, candidates check the reviews for the potential employers and these reviews can hinder in the recruitment process. What will be the Top Trends in Recruitment Industry in 2019? The main goal of this process is to follow the latest trends in the market and offer solutions to the companies that best overcome these new challenges. Companies that first adopt these new recruiting best practices will be more likely to attract talent. This is why Recruitment Marketing will be among the top recruitment trends 2019. You should practice diversity while recruiting candidates. Diversity in terms of gender and ethnicity will be crucial for organizations in the year 2019. Companies need to provide the same opportunities to everyone including candidates with disabilities and veterans. The main reasons companies focus on diversity include: to better represent customers, to improve company performance and to improve culture. As technology evolves, companies are moving their talent search methods from a traditional to a more modern and unconventional one. This enables recruiters to be more systematic about how they spend their time interacting with candidates. Some of these technologies include HRMS (Human Resource Management System), Applicant Tracking System (ATS) and an integration of both of them. Employee referral programs are definitely one of the most productive ways of hiring talent and filling open positions. This tactic is cost effective and enables companies to hire in the shortest amount of time. Many research has proven that referred employees take shortest to hire and onboard, and require way less money. You can use social media networks to proactively search for potential candidates, build a relationship with them and encourage them to apply for your vacant job positions. Artificial Intelligence, like everything else, are also heavily influencing interviewing and assessment of candidates, not only resulting in better recruitment automation but also making the hiring process more error free. However there are certain areas that can never be replaced by AI, at least not in the foreseeable future. Artificial Intelligence is likely to replace various skills including building relationship with candidates, seeing candidate potential beyond credentials, judging “culture add” or “culture fit” and many more. Human Resource Management System or Human Resource Information System (HRIS), is a human resource software that is designed to handle all the HR tasks in a systematic and easy way. This advanced software combines a number of systems and processes to ensure smooth management of human resources, business processes, and data. A software application, Applicant Tracking System is a smart solution that allows businesses to electronically handle their recruitment needs, making the recruitment process easier and sophisticated. 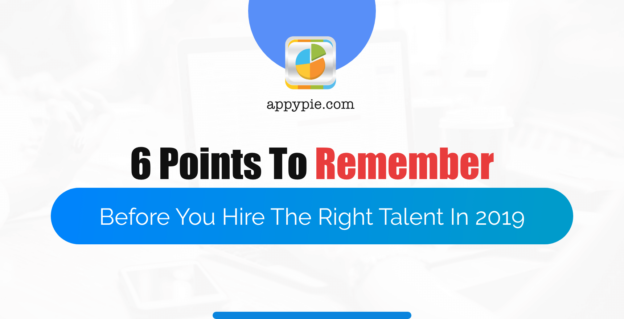 This entry was posted in Blog, Hire, Recruitment on April 8, 2019 by Abhinav Girdhar.